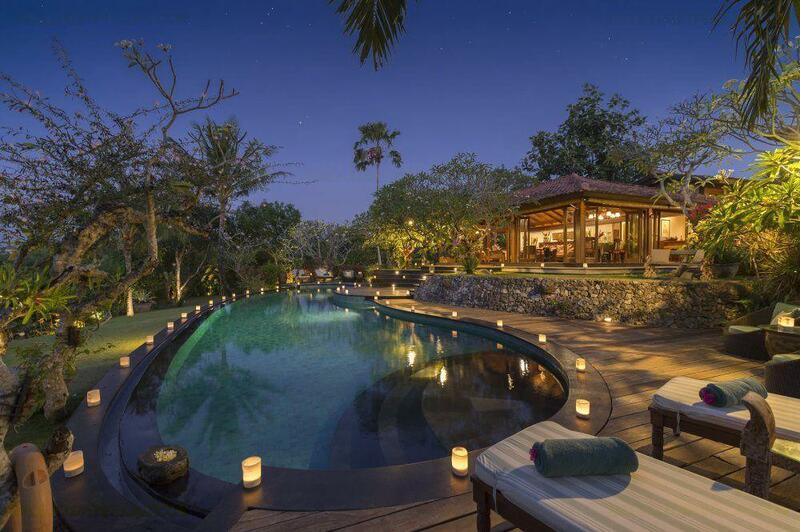 Villa 3409 is a breathtaking 6 bedroom country home, set within lush rice-fields with the beach nearby, in the traditional Balinese village of Pererenan (near to Canggu). 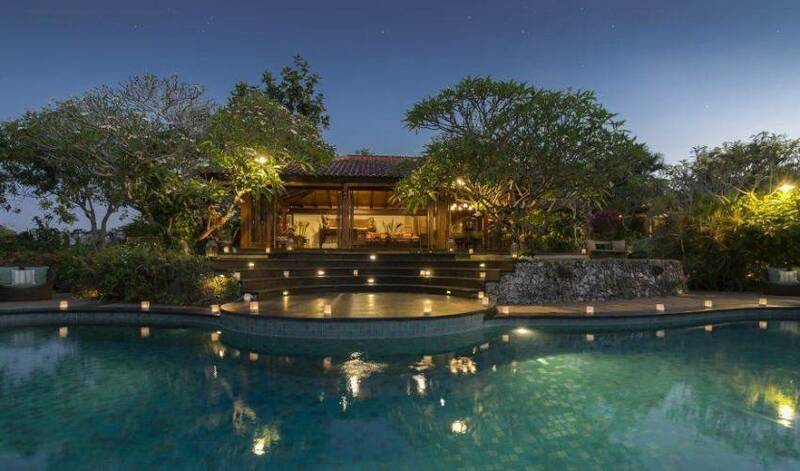 The villa is perfectly positioned, near to the beach and a short drive to the famed Tanah Lot ancient Hindu temple on the sea. 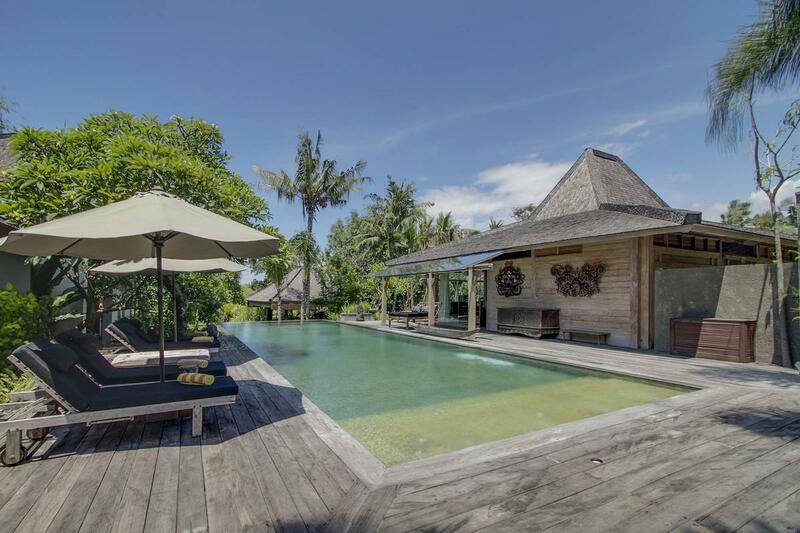 It’s also a superb location for golf enthusiasts with only a fifteen-minute drive to Greg Norman’s award-winning 18 hole Nirwana Golf Course. 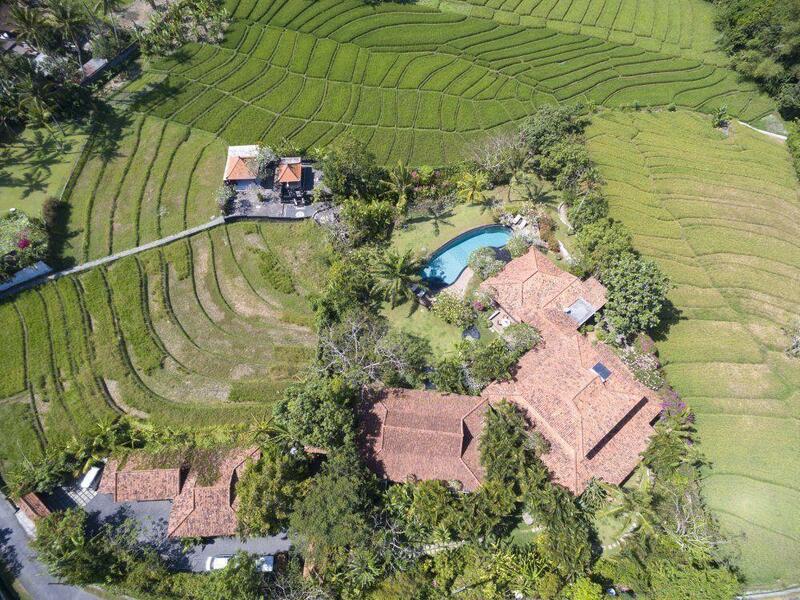 The Main House has a spacious upper-level master suite with panoramic views of the surrounding rice paddies and living and dining areas filled with beautiful Indonesian artifacts. 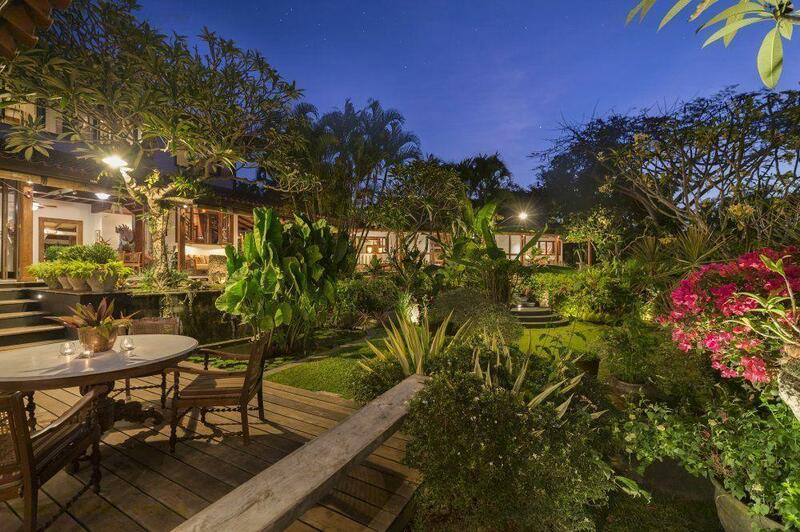 The Guest House, accommodates another three suites, two with en-suite bathrooms and a semi-open living room and deck overlooking the tropical garden and 23m private swimming pool. 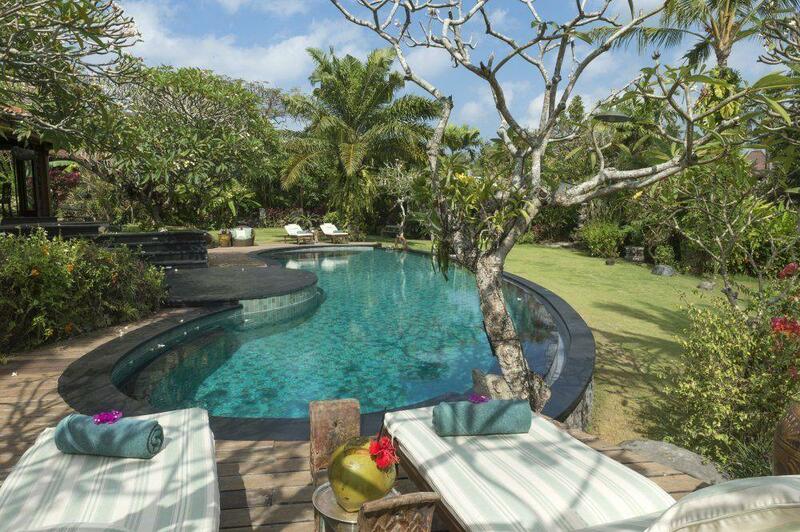 Whilst relaxing in Villa 3409 living room you are surrounded by Indonesian antiques, traditional works and of art and Balinese wood carvings. Interesting books and magazines on Indonesian art, culture, and nature can be found throughout the residence and its simply the perfect place to unwind with tropical birds and butterflies fluttering by. There are several options for dining from a grand antique table to a relaxing outdoor lounge under the stars and the bar is a fantastic meeting point for pre-dinner cocktails. 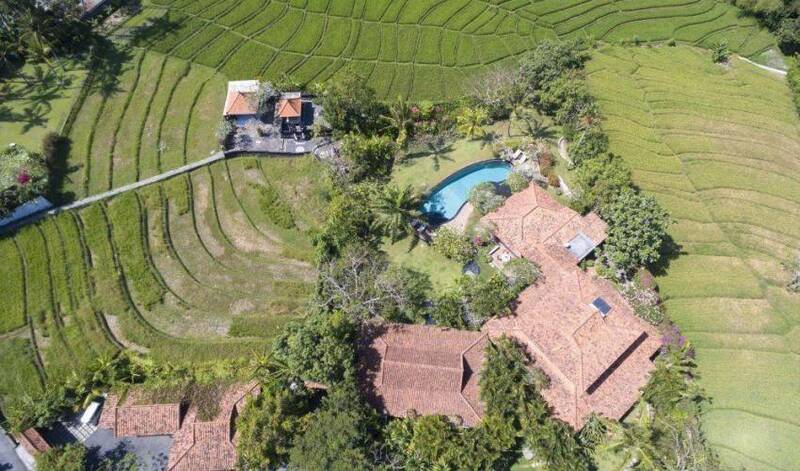 The entire upper level of the main house houses a spacious master suite, with an en-suite bathroom, which boasts fantastic panoramic views of the emerald rice fields surrounding the property. 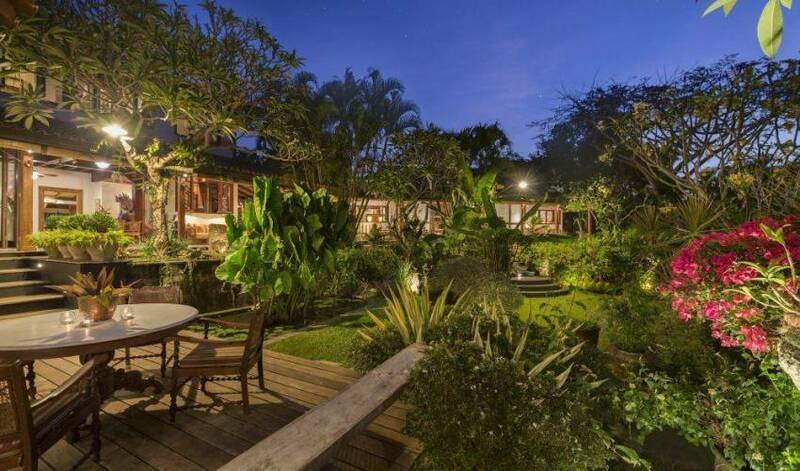 The Guest House has a spacious deck with breakfast table and lounge and houses three additional bedroom suites, two of which have en-suites and the third have an interconnecting door to the en-suite. 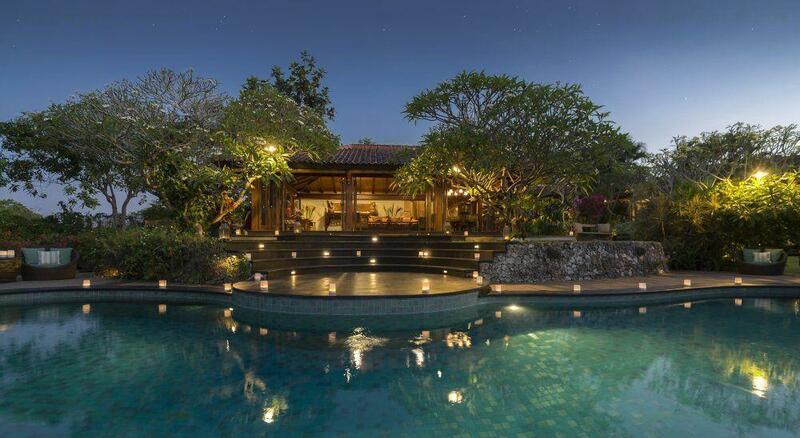 The mature tropical gardens of Villa 3409 include fragrant frangipanis, oriental bamboos and a wonderful lotus pond with a twenty-three meter organically designed lap pool as a centerpiece. 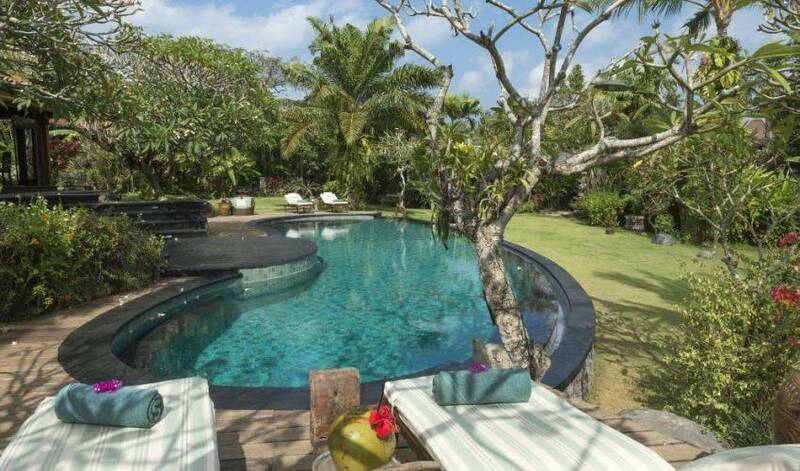 Most Canggu private villas to rent now come complete with private staff. At Villa 3409 we pride ourselves on exemplary service and are well established as one the most exclusive villas to rent in Bali. 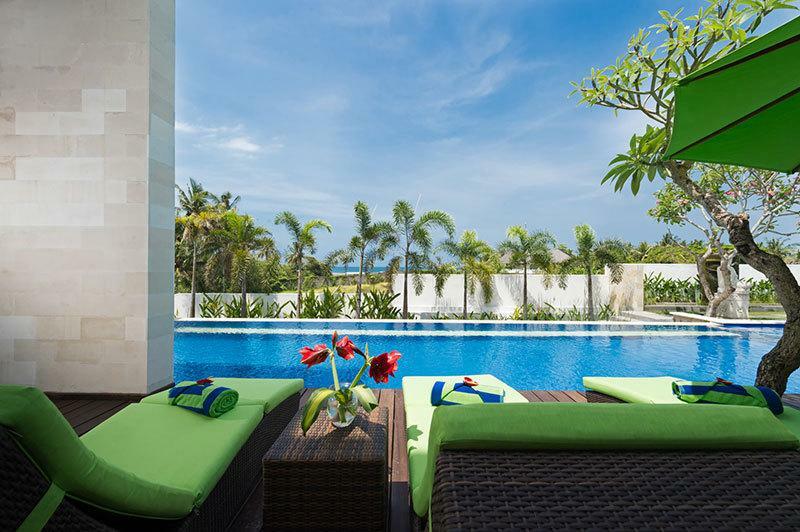 Within each Bali accommodation, we employ only the highest trained English speaking staff, focusing on attentive yet discreet service. 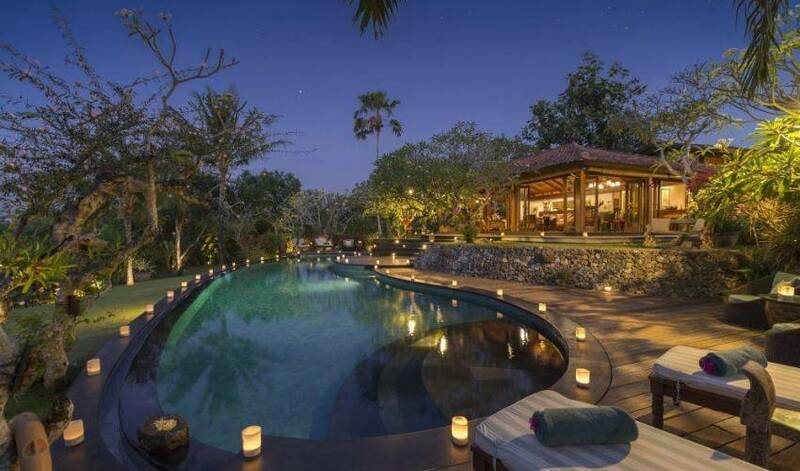 Villa 3409 butlers and private chef are always at hand to assist with any personal requirements. • Complimentary full American/Asian breakfast. • Villa Manager to organize villa and guest requirements. • Fully equipped kitchen with private villa chef and villa menu. • Private villa kitchen, cleaning and waiting staff. • 24 hour uniformed security. • IDD Telephone and Fax. • Bose Stereo and library of music plus I-Pod with docking station. • Excellent cell phone satellite coverage. • Flat Screen TV’s with satellite programming. • Air conditioning and ceiling fan equipped bungalows. • Self Contained Electric Powered Generator. • Laundry and dry cleaning service (additional charges apply). • Babysitting service (additional charges apply). We serve an eclectic mix of Asian and Western cuisine. Having your own personal villa chef and waiting staff makes it simple to cater for any personal dining requirements. Although we do have a menu, guests often prefer the chef to surprise them and we love to prepare shared barbeques and family platters too. Dining at Villa 3409 can be as grandiose or as relaxed as you decide. There are several areas to suit your mood from the formal dining table set with antique English silver cutlery and candelabra to a relaxing poolside lunch. 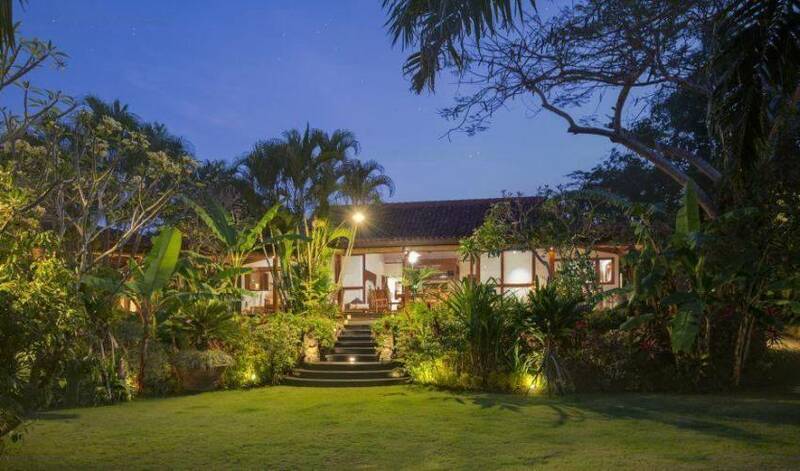 Most Bali villas to rent include chef services, but we like to stay in keeping with the Colonial era of exemplary service. 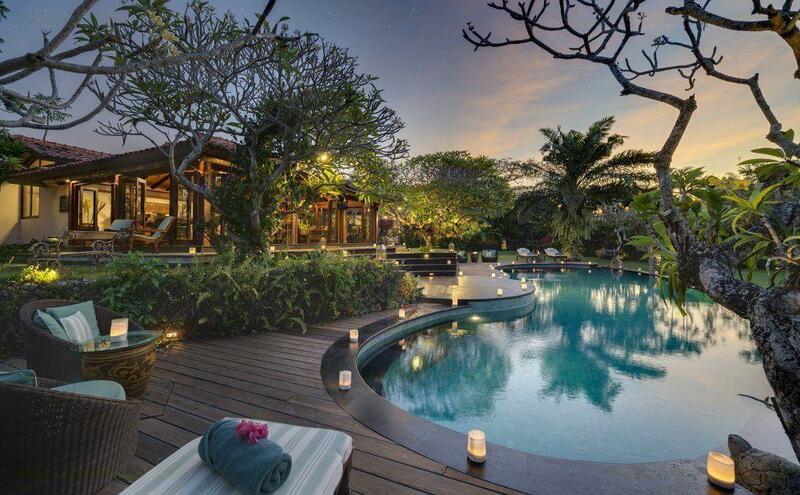 One of our luxury villa signature services is sunset cocktails and canapés. All meals are served by your attentive staff who are at hand to top up your glass anytime!